"Y'know what, general? Screw your proper report ethics. It was us who shed tear and blood here, not you nor your superiors. You've sent the three of us to our deaths, Goekhan, me and Oewyn... Or you thought so. I'm sorry you haven't managed to do that, yet, but I'm sure there'll be more opportunities. So anyway. You've sent Goekhan and Oewyn with proper support and enough accomodations to basically settle into two small systems, but felt like I deserved none of it. So you gave me a huge joke of a wheelchair and named it a command station, with no fleet support whatsoever. Yeah, okay, at least it was better to store energy and produce building materials, right? Wrong. You don't find crystallines and metals floating in space, you have to WORK for them. And work we did. I'm sure you were giggling like a small girl when you've sent us to 'proper fleet command startup regions' which are 'analyzed down to the last minute detail as the best option'. I thought we learned a lesson on trusting computers and programs, but apparently when it comes to me, we forget all the basic principles of human survival. 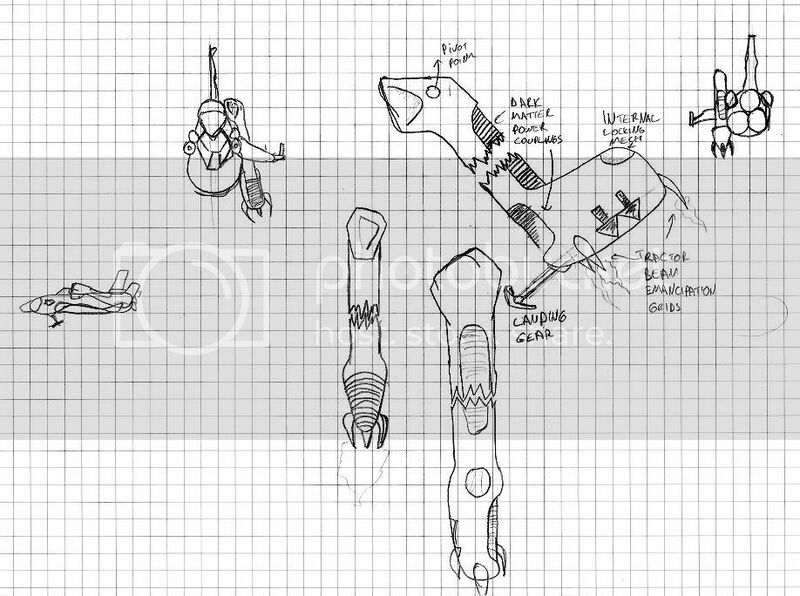 So, we pooled what we had: cynosural field enhanced mobile battle stations blueprints on Goekhan's archives (or in your terms, teleport battlestations), Zenith-grade self replicating mining drills from Oewyn (z-blades, the troops call them) and Etherjets for me. Etherjets? Seriously? At least I thank the maker they are not pods-o-death, but seriously, Etherjets? Stars, man! We need the kinetic-screened stuff with tachyon pulse disablers, but when a commander requests for planes, you give them planes. So we started with the scouting procedures. Seriously, you even managed to sod those basics, so we didn't have any info on local wormholes. Since we all had our blows shared with the AI before, we promptly set up defenses around the wormholes we've found, and started building an army while waiting on the scout reports. Those never came back fully, but the scouts reported cynosural effects originating in the systems; a heavy amount of electronic counter measure traffic and the telltale signs of heavy shielding - kerhanium bleeds into the spectrum all over the place. We were facing teleporters, with heavy shielding. I'd give my next clone to learn how the AI copied our teleporters. Or how we copied theirs. Then we found defects in the blueprints. SOMEHOW, we can only maintain the mindlink between an arbitrary amount of ships. 10 scout ships? Seriously? So there goes our numbers advantage. Which we never had, since we didn't have enough resources anyway. Funnily enough, what we thought as bugs in the etherjet targeting systems instead proved useful - they had better lock time against teleporters. But since this required a huge load of processing power, and since I wanted them fast, I dropped the required ammuniton rules and went for lighter stuff for space. The excess power we used to link tractor beams to the targeting systems and used them to carry the materials... and AI ships. But since most of them teleported away, it didn't quite work, so we used them mostly industrially. We've figured that if teleporters can escape tractor beams, we can use that to scout out with teleporter units! But we'd need tachyon shielding. The simple clean-up drones that clear away the astroids and wrecks came with some basic shielding and micro-cyno drives, so we rewired their routines and sent them away, randomly teleporting to fill the buffer of the AI's directives and confuse them while they were visible on their scanners, and then to hide when their cloaking is available. The ECM was heavy, but they fared better till we had time to research for better scouts, and the hyper-spatial video feed was good enough. 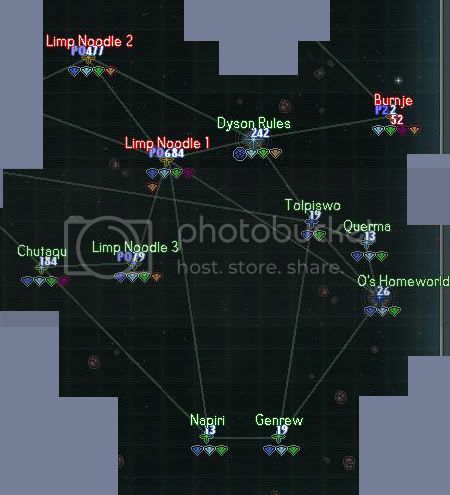 So far, we had seven wormholes connected to our two command centers. Initial garbled scout reports showed they too sucked at resource department. But we needed to expand. So we took a few risks and entered the hostile zones. Our forces were greeted by the heavy electrical discharges from teleporters, but in their omniidiocy, AI placed radar jammers. A lot of them. So their shots grazed past our shields, but our z-blades struck golden. The casualty report was small, but a few alarming things we've unearthed - the Zenith race had been here, and the AI has already made contact with them. We procedurally expanded till we filled the small group of the 10-planet systems. Now we know that the AI uses some warp tech to plant their troops into the field, but this time we wanted more information, so after capturing their command stations, we kept their warp gates active and monitored them. That report can be found on the third appendice. We tried not even capturing the command stations, but that made AI warp outside the galaxy into the wormholes. Oewyn's division built lots of point defence guns against these... but we never took the comsat nor the warpgate. This was our turning point, but we didn't knew yet. We kept the z-blades online in those systems, since they didn't have enough metal, nor crystal to be worthwile. By that time, we had the chance to research some more, so I expanded on the inefficiency in our command stations, force fields, fleet bombers, while Goekhan went directly for his teleport battlestations. But the remodeller's fault of not accepting anything over an arbitrary ship amount kept their number low. Oewyn on the other hand went for the defensive - he devised a multiple rocket system launcher that had tremendous success against small ships. It was straining on his economy, nontheless. We had to keep a lot of reactors churning materials to keep the builders working. While we were building and expanding, I had to unanchor an orbital station - a tedious task even when not in war - due to a calibration error it fell off the orbit and crashed into the nearest planet, stopping our progress temprorarily. What followed through was enough to make my blood freeze. We were being bombarded on voice comms on almost every channel we knew. It was the AI. AI mocked our inaptitude. We sure didn't program them with the knowledge of speech. Are they evolving? I guess so. This doesn't bode well, I thought. While we were away, we receieved strange reports from the AI systems Oewyn's holding hostage. Apparently, the AI too has it's limits - the enormous amounts of turrets and z shredders were overwhelming the machines that build the AI ships. We made the AI too paranoid in thinking we'd destroy those systems, so it tried to reinforce it as best as it can. It did this by pulling resources from elsewhere... such as our targets: abandoned research stations, data centers and co-processor node bulks, along with the much needed resource income. So we assigned a large amount of repair drones and tractored supplies with etherjets into those systems. We were rebuilding our small losses when we encountered the Zenith traders. We quickly bought a few investment causes and used those to buy the fabled zenith power cores and a few other new toys. Man, I wish we could reproduce those zenith cores - it's much better than what you guys call power reactors. We placed them in remote systems with some defenses. At this point we decided to scout out the whole deal. Our scout reports were grim - this arm of the galaxy is really low in resources. Also, the data centers are too far away - one jump before an AI home system. At this point, we held 11 systems, kept 3 systems hostage. We were expecting the AI to raid any second now, but apart from some simple stray AI roaming parties, we never had any raids whatsoever. Altough the AI did try to go for a show-breaker - a cross planet attack. Our ladar and graviton systems indicated around two thousand ships coming to the party. With the small income we made, and of course with the multiplying z-shredders, we decimated the AI ships, but I have to commend Goekhan on using his teleportation strategies to full extent. He was everywhere, literally. 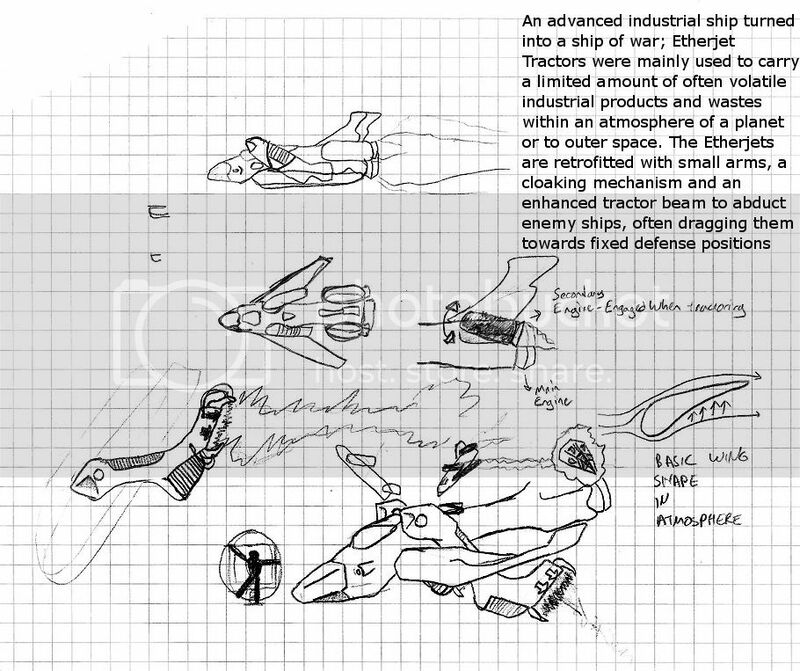 We also managed to find old blueprints for an infiltrator class drone, a small, fast ship that can enter force fields. We also found some ancient hulls - analyzing them gave us the old designation sentinel frigate. We didn't bother with them. We needed fast strike forces, not some fancy toys we can't use more than a few. On a few systems, we've found a new entity of it's own - golems. I have no idea what these things are, but they looked dangerous. And since you simpletons wouldn't understand the meaning of dangerous - we left them alone. Use your resources to research them yourself, commander. We also found a huge anomaly in one of the systems - the light spectrum receieved by the sensors were weird, and the planet's orbit was also interesting, a huge orbit around a red dwarf. Instead, it wasn't a red dwarf at all. It's what we called a Dyson Sphere; a huge, sprawling mess of metal that was surrounding the system's star, hogging all the energy it can, and producing strange ships. It was under attack from the AI, well actually, the AI was under attack from it. We first tried to communicate, but apparently those things aren't simple lifeforms, they may be another form of an AI, or something else completely. Once we bombed the command center, the ships stopped firing indiscriminately. They mopped up the remaining ships, then proceeded to form around wormholes. We left a scout there and the surrounding systems, but we weren't going to interfere. We were analyzing the scouting data when an alarm started buzzing on Oewyn's console; the AI was desperate in breaking our blockade in the systems we now call Wet Noodle I, II and III respectively, so much that it started using dreadnoughts and a new type of ship. It looked like a jelly fish. Since the z-shredders are totally ineffective on most of the starship hulls, we sent a few fighters. We've recovered interesting stuff from that jelly fish - apparently, that thing has a virus that can take control of any ship it attacks! Why isn't earth command coming up with stuff like that? Anyway. 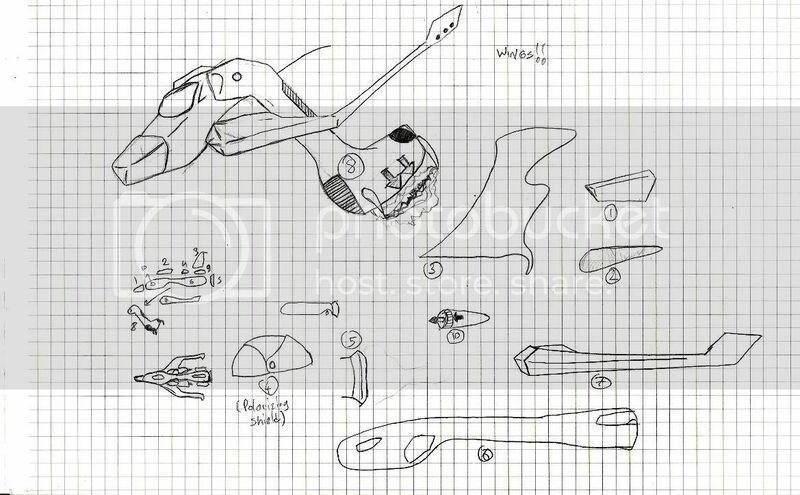 Oewyn salvaged what he could and built a few prototypes. Left those in the wet noodles, so now whenever the AI attacked, our forces grew. I was researching more economical things while Goekhan was going to build the bulk of the starfleet. After an eternity, our zenith power cores were built, and we made sure not to ever use those stupid reactors you've assigned to us ever ever EVER again. We had to, in the end, but that's another story. So, where was I? Oh yes, scout reports. We also found an advanced factory the AI was using to produce better ships, so we took it over. Now that was engineering. We had two incoming feeds from two different systems. First one was right next to an AI homeworld, it was under attack by the Dyson ships. The second was a cloaked human colony. They needed huge amount of supplies, their electronics were failing... and that meant they'd lose the cloaking. We had to choose here, and we decided we could lessen the damage if we took out one of the AI homeworlds. So, we took our fleets in two randezvous points and discussed strategy in our mobile fleet HQ. My etherjets were going in to take out the orbital mass driver. Then we'd punch throug with our starships and the fleet. Oewyn's and my infiltrators would take out the Ion cannons, while the bulk of the bombers and fighers would help clean up the guard posts. Once we approached the AI core, we were greeted by hundreds of teleporting ships. I've sent the etherplanes over to cover fire, while we bombed and bombed the AI core. Infiltrators were awesome in dealing with the forcefields. It felt like an eternity, but the first core was down! We conducted field repairs, sent drones and colony ships to the systems we razed through and burned to help the human colony. It wasn't a pretty sight. We weren't too late, but... well, the Dyson ships had found the system and utterly destroyed the AI presence. Enemy ships were strewn around, coolant oozing from every orifice and non-orifice. Human colony leaders and we settled down to help each other. They had some ages old fighters and bombers we could use, and they were willing to trade them for metals, crystals and toilet paper. That colony stunk worse than your cigars, general. The time was up for the AI's presence. We liberated a LOT of advanced factories, especially starships. Those ships with the lasers that can cut a line through an AU was my choice (they were in pretty colors. Oh, and they can help tremendously in astroid mining), while Goekhan went for the bombardment ships. Oewyn, on the other hand bought all of the human colonist bombers and fighters. We scrubbed them for hours to get rid of the scent. Also, to my surprise we found a factory that built small, cloaked ships so much like the planes we use! Producing them was the best few days I've spent in that quarter, easily But there were also bad news - our way was filled with Ion cannons and Orbital Mass drivers. We had to keep starships in the the system we were attacking to prevent mindlink overload to our pilots, but the Orbital Mass drivers meant starships were AI food. I picked the shortest straw. So I had to command the fleet from the local starships, while the rest could only sent the mindlinked fleet. We really, REALLY need a better option here, general. Basic operations with mindlinks is easy, but we're facing mindlink overload. It can kill any capable fleet pilot - or worse, make them vegetables. It's much much better than piloting the ships the usual way, yes, but it has it's downfalls. I'm sure the Central Command is breathing on your neck about 'how much do these pilot trainings cost'. And they are right. First system with the Mass driver didn't have enough fortified positions, so we sweeped the cloaked ships over to the mass driver. Once it was down, we entered the system and mopped it clean. Of course, they had an Ion cannon, so we had to waste a few days trying to repair every ship. We were down to scrap metal, bolting over everything. Then it was time for the AI menace to end. Not much surprisingly, AI homeworld had an advanced Ion cannon, another mass driver and a lot of ships. I first tried to enter the homeworld with cloaked ships to take out the Mass driver as it proved an useful tactic. No go. I boarded the beam starship, Mary Antoinette. Goekhan and Oewyn were going to use the mindlinks in my flagship and command their fleet by proxy, while I had to slug through heavy incoming fire. We approached the wormhole, pushed through the event horizon and... oh my god. The system was full of ships. So much that they were blocking the sun... Our ladar analyst reported ELEVEN guard posts. After relaying the information, we sent the infiltrators to take out the orbital mass driver instead, then the close-by guard posts under the force fields. Five AU. Four. Three - and my light starships were taking heavy hits. Two, almost there... Mary Antoinette rocked from the nearby explosion. We've lost Pride of Icarus. Reports were coming in, the mindlink overload had taken eight hundred souls. One AU... and bam. Another huge explosion. This time, it was my favorite, Pain Express. I had so many memories with that ship... but it's gone now. Along with almost all of the crew onboard. We were taking heavy casualties, but finally, the AI stopped throwing us astroids. Oewyn and Goekhan's starships entered the fray, taking the mindlink buffer load from our end. They diverted their focus on the huge ships, designated Spireships. They were tough cookies, but they fell, one by one. I diverted infiltrators to the Ion cannon, and started bombing the heck out of the command station. Oewyn and Goekhan were covering up my fleet. Goekhan was again everywhere in the system, 40 AU down in one second, then almost inside the forcefield, then off in the distance attacking incoming waves. I was in the bridge, pacing up and down, with an unlit laundromat, watching the ladar display. Bombers were unloading hell on earth upon the command station, but the radar jamming made it difficult to penetrate the hull. An eternity passed, the bombs moved closer. Another eternity, we lost another starship, the bombs creeped closer... Then nothing. Nothing at all. No big explosions, no spewed out bio-organic materials, no coolant, no nothing. It felt like the AI pulled the plug before we did, just to mock us. Just to mess with us. And there you go, general. A new sector for us to inhabit, but was it worth it? This particular AI wasn't that agressive. They can reprogram themselves, maybe we can strike a reprogram them as well? Or maybe they are too cruel SOB's to even accept that. I know they are evil. I know the bloody history. But we didn't need to lose eight thousand men. We didn't need to suffer from both ineptitude and bueurocracy." Commander Anthain 'Kordy' Kordusain was found dead three days after in the R&R clinic. Investigation revealed it was suicide. Next clone in line is ready to be shipped in six months to the front. This incident puts the suicide rate on commander Kordusain's clones to 53%. Radar Jammer (All the Radar Jammers you are talking about) and Teleporter Turtle (Teleportation and no waves) is my main guess. As a side note... Shield Ninny and Teleporter Turtle would be my backup guess since you DO mention heavy shielding and no waves. But I maintain my first guess! Beautiful artwork by the way! Ha, the AI's were Shield Ninny and Teleport Turtle. Since it was too effin' long, you've read it (hopefully) and you've replied with the semi-correct guess, you'll get the consolation prize! Pick a ship, I'll try to draw (and fail horribly, I guess), scan it at 300 DPI, then I will send the scans to you via forum PM's. Hopefully, it won't take me too long. Still can't believe someone actually read all that. More of us around than you might think. I used to play it. Started to feel too much like a job, so I quit... I only need one of those. I was in Ascendant Frontier (ASCN) during the G war. My home was 2-RSC7, and if I were to ever turn my toon back on, I would have several billion ISK worth of ore there that I can't get rid of. I was bored of 0.0 politics when most of the current players were feeling lucky to mine Scordite in their noobship, and hunted/hated Burn Evil in their gankravens before everyone else had acquired their first T2 gear. I did say I took some ideas from EVE It's less of a job than WoW when you're not in 0.0, tbh.